Have you ever wished you were someone else? 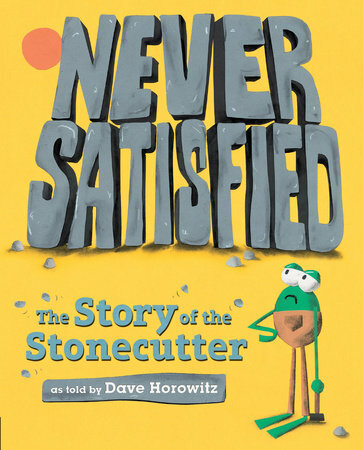 Stanley the stonecutter has, because cutting stones is hard work for a frog! So Stanley wishes he could have it easy like the tea-drinking businessman . . . and, boom, he's transformed. Then he decides he'd be better off as the majestic king. But even that isn't good enough when he sees the radiant sun. Why, if he were the sun, everyone would look up to him, right? Hmm, will Stanley ever be satisfied? Dave Horowitz's fantastic collage illustrations bring this classic folktale to hilarious life as Stanley's endless comparisons bring him full circle. Maybe being yourself is not half bad after all!